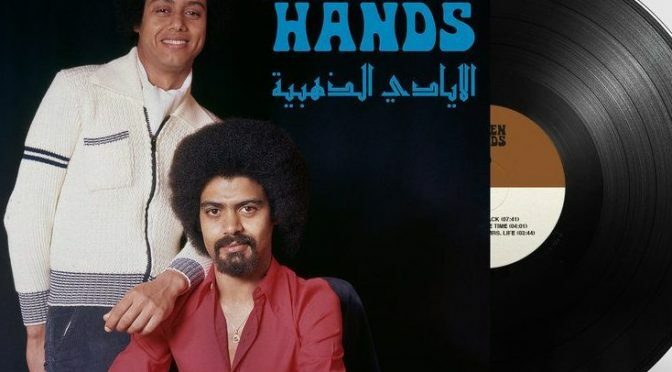 Sdban records are very proud to release for the first time ever on vinyl Golden Hands’ only album released in 1978 on cassette by Moroccan label Disques Gam including the cult classic ‘Take Me Back’! During the seventies, the Kingdom of Morocco was not spared by the rock and funk wave that went through the world. From Casablanca to Tanger, from Marrakesh to Rabat, nightclubs and other concert halls have seen a good number of small groups, more or less amateur and definitely DIY, some of which have been catapulted onto the international stage like Golden Hands. Founded in 1969 by two brothers and a friend, this cult band brought their rock and funk topped with a Moroccan sauce to Europe after having experienced success in their homeland. Sdban Records is very proud to release for the first time ever on vinyl Golden Hands’ only album released in 1978 on cassette by Moroccan label Disques Gam, including the cult classic ‘Take Me Back’.